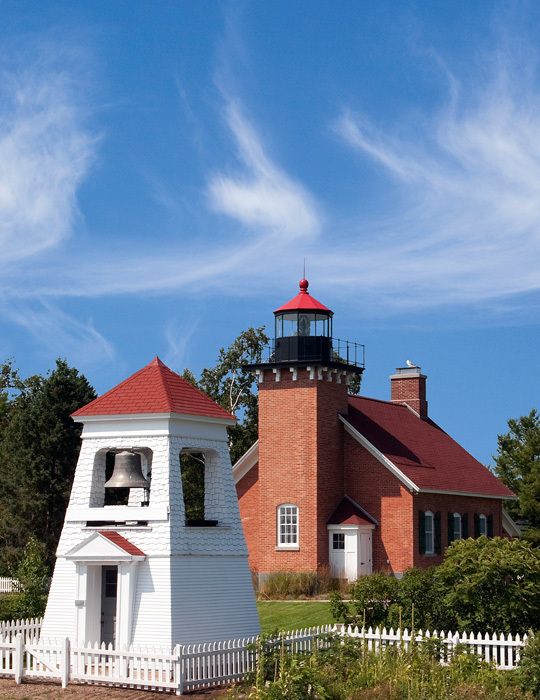 The Little Traverse Lighthouse, built in 1886, is located at the tip of private Harbor Point and can only be photographed from the shore. The fog bell tower in front of the lighthouse was built in 1896. Photo © copyright by Mike Barton.